The Lithuanian Social Democratic Party (LSDP) is the longest-existing political party in Lithuania, founded in 1896. It was involved in preparing and adopting the Act of Independence of Lithuania on February 16, 1918 as well as the Act of the Re-Establishment of the State of Lithuania of March 11, 1990. As a parliamentary party since 1990, the LSDP was actively participating in restoring the country's economy, promoting democracy, human rights, social justice and solidarity, fighting for social interests of people. Implementing moderate social democratic policy, the LSDP was supported by many people, used to win elections and governed the state successfully. The Nordic model of social democracy served as an example for the LSDP when it was chaired by Algirdas Brazauskas. The situation has changed dramatically this year (2017) when Gintautas Paluckas became chair of the LSDP. Both during the election campaign to the position of chair of the party and now as chair of the party, Paluckas has been emphasizing the left agenda, left politics which is not the same as social democratic policy. The recently published LSDP document Manifesto "For Fair, Prosperous and Consolidating Lithuania" (draft) which emphasizes the direction towards the radical left even more strongly has not only been criticized by political analysts but by the LSDP members as well. Moreover, a lot of ideas and provisions of the Manifesto contradict the LSDP programme. The LSDP, chaired by Paluckas, has chosen a devastating road to left radicalism. 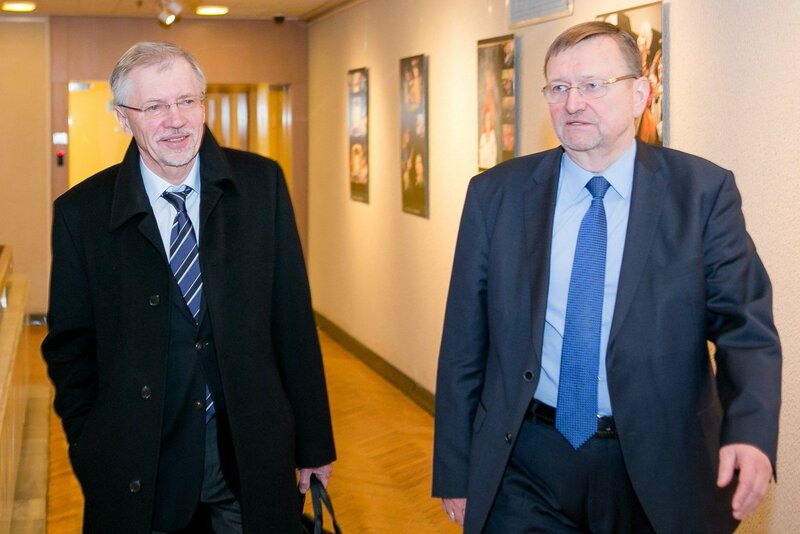 Therefore we, a group of Members of the Seimas (former LSDP leaders and members who refused to leave the governing coalition in order to implement social democratic ideas and prevent destabilization of the political situation in Lithuania and consequently had to leave the LSDP), being deeply concerned about the current situation in the LSDP and adhering to the moderate social democratic approach are establishing a new political party - Lithuanian Social Democratic Labour party (LSDLP). We consider it necessary to define and disclose the differences between the LSDP and the LSDLP. The analysis of the mentioned Manifesto as well as the recent actions of the LSDP demonstrate that the LSDP and the LSDLP attitudes toward the state and the social structure are fundamentally different. The LSDP intends to hold a discussion about class relations in the XXI century considering that nowadays in Europe a class conflict between exploiters and exploitees still exists. They are concerned that the laws limit the freedom of holding strikes, and the proposed radical means seem mainly aimed not at establishing social justice but at destroying social peace. Meanwhile, we, the LSDLP, adhere to the moderate social democratic approach that there are no antagonistic classes in the modern civilized world, and the differences between different social strata have changed significantly. Currently, social ties, education and training, sustainable environment and social justice are becoming increasingly important, alongside with the workplace and the source of income. We do believe that it is possible to implement social democratic programmes only being in power and having influence in the society. Therefore, the mission of a social democratic party is to create a welfare state, and the instrument of the state governance is necessary for that. We consider that the basis of the party is a system of ideas but not a certain social base (as indicated in the Manifesto). Therefore, we, moderate social democrats, foster social democratic values: solidarity, equal opportunities and social justice for all citizens of the state. Moreover, we encourage providing assistance to socially vulnerable people regardless of a social group they belong to. Our views on the role of the state in the economy and in the social area differ from the LSDP approach as well. According to the LSDP Manifesto, a task of the state to create favourable conditions for business is considered neo-liberalism and, in general, achievements of market economy are denied There are no ideas how to create goods and services, but it is promised to divide them for everyone. We, the LSDLP, advocate for a socially responsible market, for creating conditions to earn more and business-friendly environment so that entrepreneurs are socially solidary and do not leave Lithuania. Our approach to political priorities is different, too. G. Paluckas raised the party interests above the interests of the state and the people of Lithuania. For the left radicals it is very difficult to get involved in the state governance, implementation of consistent reforms or creative activities. Their passion is demolition of the current state government, dissemination of total criticism and incitement of people's social hostility. Whereas our attitude to the policy goals is completely different: we first of all defend the interests of the state and its people, maintain political, economic and social stability and the centre-left dominance. 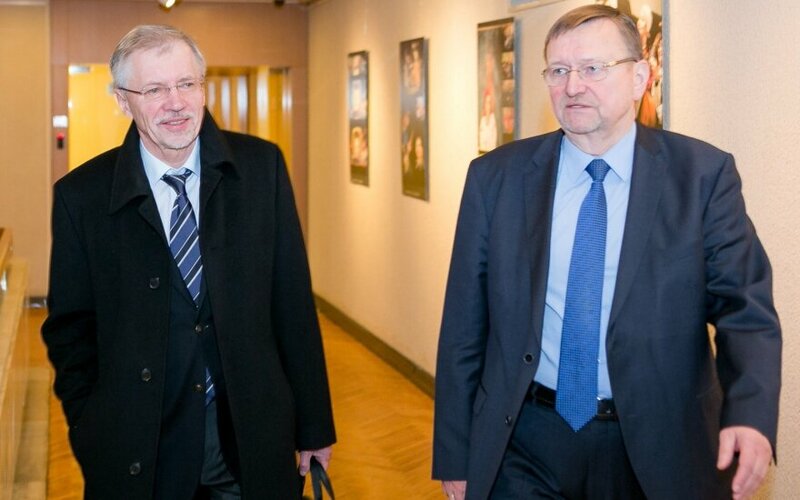 To sum up, we do believe that the new Lithuanian Social Democratic Labour party (moderate social democrats) will counterbalance the LSDP, which has been rapidly becoming a radical left party. We will cherish social democratic values, seek more social justice and solidarity by implementing social democratic programs both in the national government and local self-government.